Real or Angels, they’re all Models. 2. Being STRONG – so you can look great while in your undies, flawlessly balanced on stilettos carrying a set of wings as heavy as you are, thrilling the crowd with an awkward and dangerous balancing act. 3. Being focused – able to not only balance all of that mess AND yourself on thin heels; transition in and out of blinding lights, camera flashes, etc. while striding a glass runway; and remembering not to let each others wings get tangled so you don’t fall and break your neck. Or leg. Seriously – they should get hazard pay. It’s a tough job, but I gotta say that at least these women navigated to their field’s Coveted Position. For this year, anyway. But the ones who make it there are good at what they do, and happen to be healthy- to succeed, they have to be. They work out (and surprisingly aren’t overdoing it) and eat right for their metabolism – and like actors or athletes, they modify the regimen a bit before the gig, to be camera-ready. And we all know just how unfriendly a camera can be. Who’s gonna be able to compete with that? Ok – “Real” Women. Because even though size isn’t as much as an issue for our jobs, #2 & #3 are just as important- obviously it’s got to be for different reasons, though, right? Fat women and skinny women can’t be the same, can they? Strong, Focused, Fast, Hard-working. 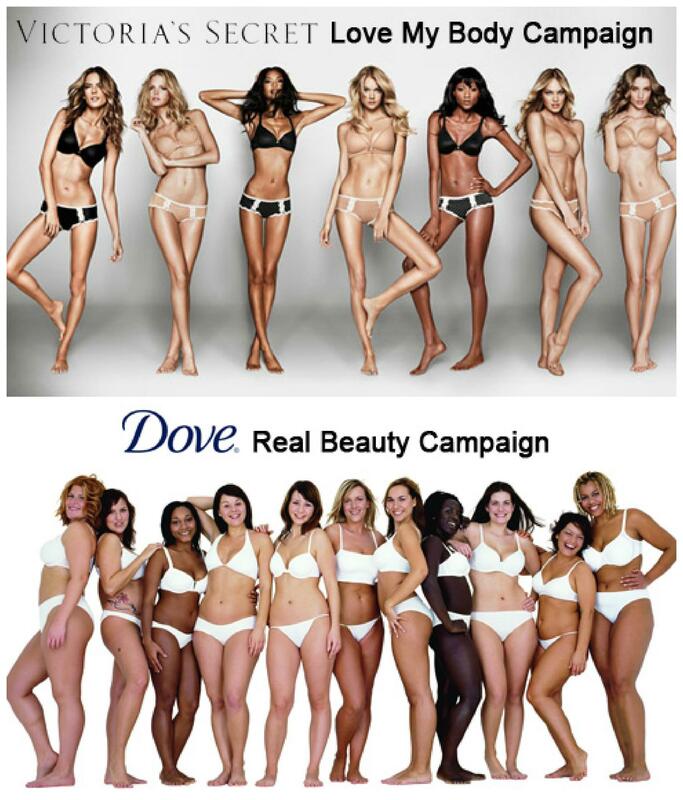 Turns out the rest of us ‘Real Women’ share a lot with VS models. Why do we hate them for being who they are and doing what they dream? Or if not hate them, disdain them. Or just say all sorts of mean things about them. Is it because we’re jealous? Don’t we want to be up there with heavy wings and 6 inch heels, 8 layers of makeup and revealing our ladies wear? There’s millions of ‘quotes’ – check out late night comedy, “Real Wives”, or listen to yourself the next time you comment on another woman. I’ve done it. I’ve been shamefully rude and mean. I ain’t about to break my glass house. The models on TV are just easier pickings, as are other celebs, and our obsession with First Lady hair styles – (or killer arms!) That’s not to say we don’t have perpetually divisive female body-image issues, just that maybe we shouldn’t pit ourselves against each other in order to fight it. Gallery | This entry was posted in Blows My Mind and tagged angels, beauty, body image, body image issues, fairness, health, life, lingerie, modeling, Real Women, size, victoria secret. Bookmark the permalink.